Badge buddies allow you to quickly add extra information such as staff roles to your cards. 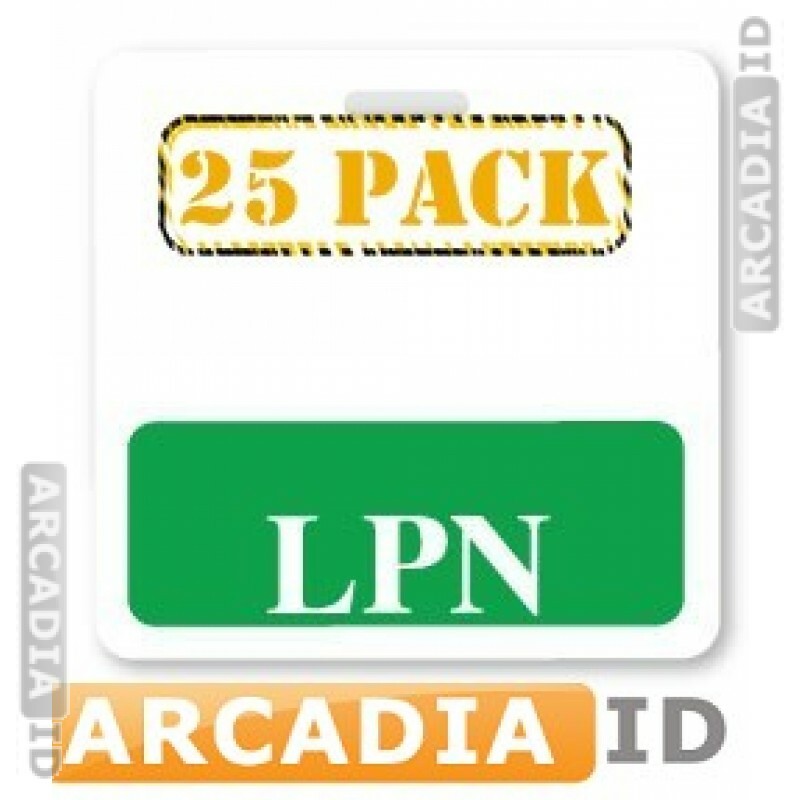 These are LPN badge buddies - licensed practical nurse - and come in packs of 25. Not sure what you need? Then call us today and we'll be happy to help. You can depend on ArcadiaID for the very best value and quality.